‘Hi! Come on in! Have some gin! I’ve put tea & biscuits in it!’. It’s approximately 12.17pm on Saturday 18th February, and my wife & I are on a mission…We’ve travelled an incomprehensible distance to get here (roughly a 10 minute train journey from Leeds) to be part of one of the standout festivals of the calendar year; ‘The Wakefield Rhubarb Festival’. Ok, ok, so I’m sure the organisers of ‘Glastonbury’ aren’t overly worried at this stage. But I assure you – from a culinary perspective, this is a standout event for anyone’s calendar (particularly if you’re partial to a bit of rhubarb!). The city centre is overtaken by quaint little wooden huts, each containing home made or locally sourced delicacies, paying homage to the famous ‘Rhubarb Triangle’ that Wakefield proudly calls home. If you’ve never been, I heartily recommend you get it on your radar for next February! Are there rhubarb distilled spirits & liqueurs here? Sure – by the bucket load. Did I sample them? Of course! Is that the focus of this blog? Hang fire a moment…because having wondered around this pink tinted wonderland for long enough, our focus sharpens. Because as I said, we’re on a mission – fuelled by the promise of craft beer, premium gins & an all round good time. We’re off to ‘The Wakefield Beer Exchange’ (WBE). And I couldn’t be more excited! Fast forward to 12.17pm. I’m now shaking hands with Heart Radios Breakfast presenter ‘Dixie’ as he adds a little more context to his ‘tea & biscuits’ juniper concoction. There’s a heated competition at play, with Dixies ‘Tea & Hobnob’ infused gin pitted against fellow Heart co-host Emma’s ‘IMAGin’ (in to which Emma appears to have emptied the kitchen cupboard). And it may have been the gin speaking (I assure you these guys were not skimping on their samples!) but my vote went to Emma’s cardomon & coriander heavy winter warmer, it’s orange tones & bizarre minty fresh after taste winning my affections. And ultimately the competition (…sorry Dixie!). Whilst I can appreciate that this particular podium finish doesn’t have all that much to do with rhubarb, this is the cool & quirky eccentricity that I’ve fallen a little bit in love with at the Beer Exchange. And a great introduction to what you can expect. Votes cast and sample glasses drained, it’s now roughly 12.26pm. And taking a look around, I’m suddenly struck by something…the bar is already buzzing. There’s a hive of activity and excitable chatter as friends old & new catch up over vessels of various shapes and sizes filled with their chosen tipple. The atmosphere is palpable – the hipster vibe draws you in to its effortlessly cool embrace. From the no nonsense wooden furniture and chalk board drinks menus that boast a seemingly infinite list of opportunities, to the walls adorned with local art work & a colourful Brewery collage ‘wall of fame’ that depicts a who’s who of craft beers that have had pride of place on the taps, the Beer Exchange is a haven for those who appreciate the finer drinks in life! This is craft drinking at it’s very best. 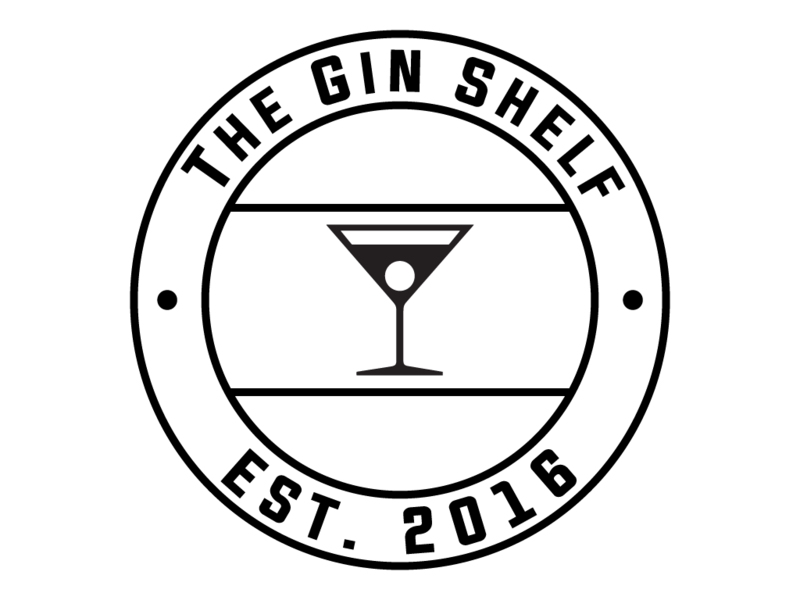 And it doesn’t stop at beer – the very reason we fell in love with WBE is their shared appreciation of gin. Their back bar gloats an impressive array of options, from firm favourites and Yorkshire locals (think ‘Martin Millers’, ‘Masons’ & ‘Slingsby’) to some exciting, rarer finds (including ‘Anno’ and ‘Herno’). TGSB: Hi guys! The Wakefield Beer Exchange has just had its first Birthday – congrats! Tell us what you guys are all about and what future has in store? WBE: Thanks! It’s been a whirlwind year, we can’t believe it’s been that long already. We’re a beer cafe and bottle shop that serves real ale, craft keg, quality bottles and cans, as well as gin, organic wine and bar snacks, all from independent producers. We host regular events and proudly champion local arts and business. We want to keep improving, sourcing great products, putting on new events and making little changes here and there to ensure we keep moving forward and getting better at what we do. TGSB: Beer is in obviously in the name! But there seems to be a clear soft spot for gin on your back shelf. Where does your love for gin come from? And do craft beer & craft gin go hand in hand? WBE: We always had the aim that, instead of being all things to all people, we would specialise and try to get the best products that we could possibly find – made by people who loved what they do. Beer in all its glory is obviously our first love – and we have lots of it! We have six real ale hand pulls, six craft keg taps and a tall boy fridge packed with fantastic independent beer. But we’re also inspired by the creativity and passion that independent gin distillers are showing now – it echoes the brewing world in many ways. We promote independent craft brands and around 25% of our selection changes regularly so that we can continue to pioneer seasonal distillates or new releases. We carry a strong range of dry gins that are all influenced with regional botanicals or water sources and give them their own flavour identity. On top of that we carry a handful of fruit infused gins and always have a house infusion available that we make ourselves, based on trendy ingredients at the time. It’s a gin lover’s eutopia! Even if you’ve paid us a visit recently, chances are there will be something else to try when you come back! Our championing of independent products extends all the way to our soft drinks and mixers. TGSB: So what is it that makes ‘The Wakefield Beer Exchange’ stand out from the crowd? WBE: 100% our staff. Everyone is committed to the products we offer and we love sharing our passion. We’re not glitzy or showey – we’re a place where everyone is welcome, where you can always get a fantastic drink with a story behind it. We want to create a community feel – anyone who has been lucky enough to visit any Northern European cafe bars will have an idea of where we’re coming from. TGSB: It seems like you’re a pretty tight knit group? How important is the shared passion for what you do to the vibe of the bar? WBE: It’s the number one priority. We are a family – we have our ups and downs, but we love each other dearly! We like to think it’s clear how much we all care about the Beer Exchange when people visit us. And this passion starts from the top. For the second year running the Beer Exchange are topping the bill in the demonstration tent at the ‘Rhubarb Festival’. Last year saw the team run a beer and food pairing seminar (which sparked my craft beer love affair for the brand ‘Magic Rock’ – definitely worth looking up!) and this year they’re bringing the gin to demonstrate how to make your own rhubarb infused creations! Dave & friend of the bar, Nathan Birkinshaw, combine as a perfect duo on stage, bouncing off each other with a perfect mix of gin history & information, genuinely funny banter and an endearing humbleness that perfectly mirrors the personality of the bar they represent. Watching on as they create their rhubarb gin (which was also available to buy from the bar) you can’t help but be impressed and even inspired to ‘try this at home’. TGSB: So this is the second year that The Wakefield Beer Exchange has been involved in the ‘Rhubarb Festival’. Why is being part of the Festival important to you? WBE: It’s just a fantastic event for the whole area. It’s a celebration of local business, local products and just a good excuse to indulge yourself for the day and have a bit of party. The atmosphere is always fantastic, so inclusive – everybody looks forward to it all year. We’re also incredibly proud of rhubarb in West Yorkshire – it’s almost our emblem! West Yorkshire used to produce 90% of the world’s forced rhubarb crop, so if we see anything with rhubarb in it we identify with it as a local product. Again I think that some of the popularity is because rhubarb is quite an old fashioned ingredient and everyone loves a bit of nostalgia these days. It just so happens that the craft alcohol industry is booming, producers are more creative than ever and we have plenty of rhubarb! We were keen to promote fruit gins in a different way than we conventionally understand. We’re a pretty creative team and love to have a play around – you’ll see that from the infusions that we regularly have on offer. We do all of our ginfusions and liqueurs in house. It has been something that some of the guys have a huge amount of experience in so they just get on with it! TGSB: Rhubarb & booze – why do they seem to work so well together?! It seems to be a match made in beer & gin heaven? WBE: For gin producers, rhubarb has a tang to it that we associate with citrus fruits so it lends itself well as a gin botanical. More commonly it is used along with sugar which really brings the flavour of the rhubarb out that we all recognise from childhood. As with most things that we probably appreciated in childhood, we appreciate it better when we’re older if alcohol is involved! As for beer, I guess it is due to the spicy tingle that rhubarb provides in rhubarb beers – it seems to have a similar effect in beer as ginger root does, with an almost spicy edge & a little heat behind it. It makes you think twice about what you are drinking and tasting. Anything that has that effect on people is usually a winner. As I looked around the bar, it becomes obvious that this is about more than just a place to drink. The Wakefield Beer Exchange is at the heart of the community. They host a quiz every third Wednesday of the month and ‘Meet The Brewer’ events on the third Thursday of every month (which are very popular -make sure to book a place!). Every two months there is the ‘Artwalk’ in Wakey, where creatives and businesses open their doors for a mini festival of culture. The Beer Exchange change their exhibition of artworks every two months and launch it at ‘Artwalk’. This is followed it up with an after party of sorts with their bring your own vinyl event ‘Hang The DJ’ where you get to play out your own records to an adoring public! And with the night time rolling in, the rhythm of the evening pulses to the heart beat of like minded enthusiasts drinking in the atmosphere of this growing institution. I sit back in my chair and take a satisfied sip from my glass. I wouldn’t exchange this place for anything. Coming up the guys have a series of ‘In Conversation’ events in conjunction with ‘Louder Than Words’ festival – a music based literary festival. Don’t miss it!